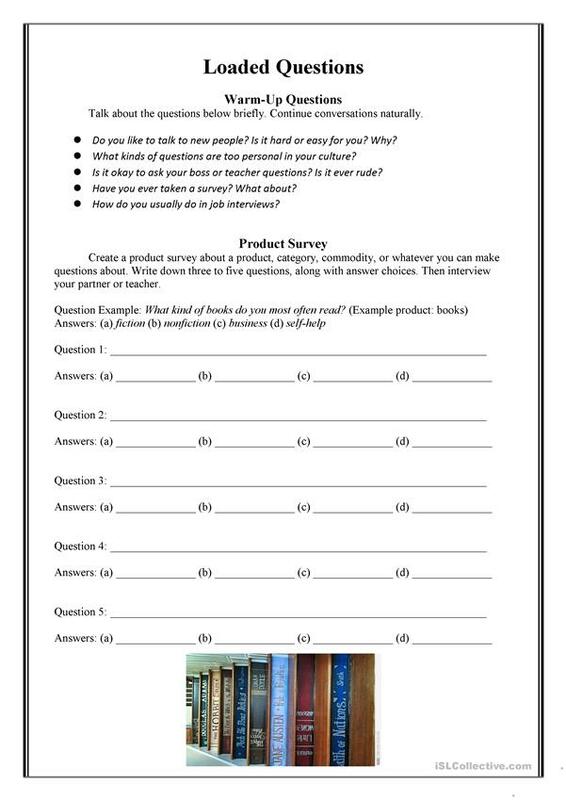 A simple conversation supplement that includes some discussion questions along with a conversational activity. The present downloadable handout is best suited for business/professional students and adults at Pre-intermediate (A2) and Intermediate (B1) level. It is aimed at revising Questions and Questions: WH questions (open-ended questions) in English, and is useful for working on your class' Speaking skills.